Gen industrial-powered water production without the need for extra maintenance or space. With it's unique one-touch operation and optional remote control, the Aquamatic XL eliminates the need for an engine room operator. It is well suited for all boats, yachts and unattended continual land-based operations that need significant water supply. 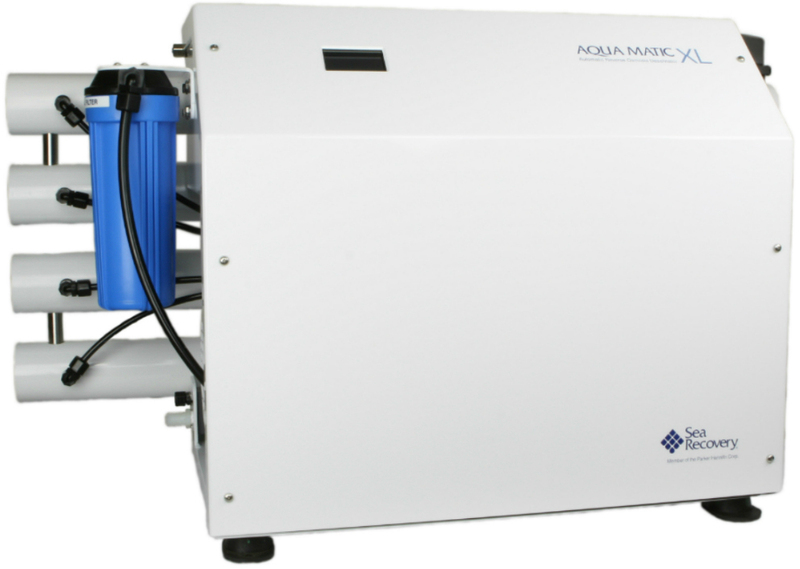 The Aqua Matic XL delivers limitless water production with the convenience of fully automatic operation in a small, compact design. Industrial size water production in a compact, lightweight design.